Natural gas is a brilliant and cost-effective way to run our homes or businesses. Whether we need to cook, heat water or use gas heaters, it’s a better alternative for both the budget and the environment when compared to electricity. However, it does come with some risks and as a smart home or business owner it’s vital to recognise any potential gas hazards and act accordingly. If you smell gas in or around your home or work place, call Superior Plumbing immediately. A natural gas leak can increase the risk of fire and explosion since it spreads quickly and combusts easily. An electrical spark or fire source can set this off if you have a leak in your house. An untreated gas leak has the potential to cause serious damage to both your property and to your health. At Superior Plumbing all our technicians are fully qualified and licensed emergency gas plumbers and can usually detect a gas leak within minutes of arriving on-site. Once the leak has been diagnosed and under control, our friendly and helpful gas expert will fix your gas issue and provide you with productive gas maintenance plan. Don’t hesitate with gas leaks. Call the experts – call Superior Plumbing! Be aware that your gas company will charge you if they’re called out to your home and the gas problem is related to your pipes (the house side of the meter) and/or your appliances. We understand that gas emergencies can be very stressful and the last thing you need on top of everything, is to be worried about finding a reliable technician that won’t charge you an extraordinary price – just because your gas emergency happened after hours. Our emergency call-out service is designed to take the stress out of your gas problems. We’re on call 24 hours a day, 7 days a week – even at Easter, Christmas and New Year’s – and we can be at your property quickly once you contact us with your details. On arrival we’ll be able to diagnose the extent of the issue, and immediately work to fix the problem before any damage can be caused to the surroundings or make the site safe. Gas leaks can be hazardous to occupants in the area, so we’ll take appropriate steps to ensure everyone’s safety. Our top priority is to get you back to your normal routine as quickly as possible. Our professional licensed gas fitters always arrive on-site with fully stocked trucks keep their so most gas leaks can be fixed on the spot. On receiving your call we’ll be able to transfer you to one of our fully qualified gas fitters who can give you a run down on which safety measures to take before your technician arrives. 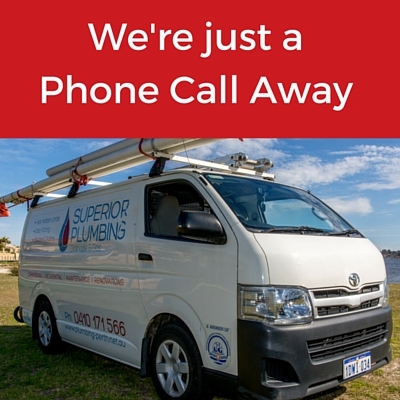 We pride ourselves on our excellent customer care, arriving on time and for your addition convenience all our technicians carry cash, credit card and EFTPOS facilities. 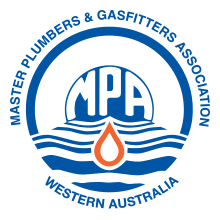 Make sure that you only use a licensed gas fitter or gas plumber to install and maintain your gas appliances. If you notice any of your gas burners producing a yellow or red flame – contact Superior Plumbing. A healthy gas burner should produce a blue flame only. Don’t make the mistake of assuming your gas appliances will continue working for their natural lifespan. Gas leaks will not only result in you paying more in utility charges but can also cause serious health issues in people living or working in the area. Reputable industry experts all agree that home and business owners have regular maintenance tests carried out on their gas appliances. 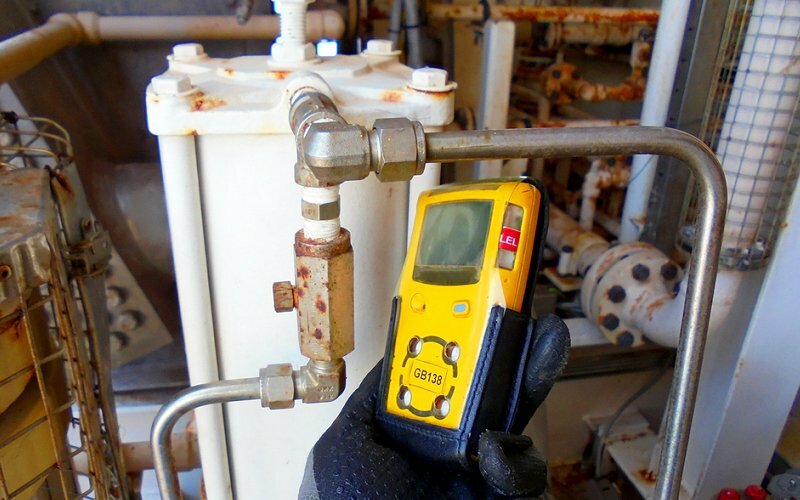 Any inspection should only be completed by a qualified and trained gas fitter and conducted on at least once a year. 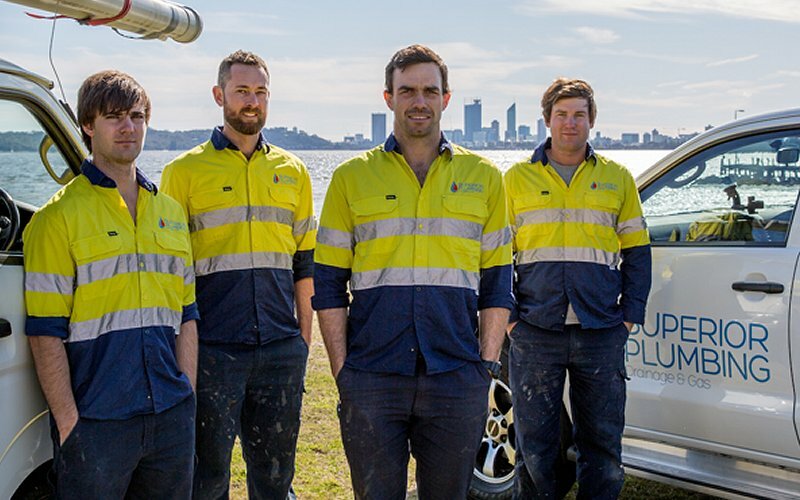 Thousands of customers across Perth choose us as their preferred company for gas leak emergencies simple because we are the best in the industry. Our customer care is second to none. We take pride in everything we do, from our branded uniforms and fully stocked and equipped vehicles, to our on-site work and our high-quality customer service. All our technicians are undergone rigorous training and are highly qualified. You can call on us seven days a week, 24 hours a day, for all your gas emergency needs. We’re so confident that you’ll love dealing with us that we provide a 100%, no questions asked, money back guarantee. Remember, there’s no messing around with gas leaks. If you suspect a gas problem, call Superior Plumbing immediately!